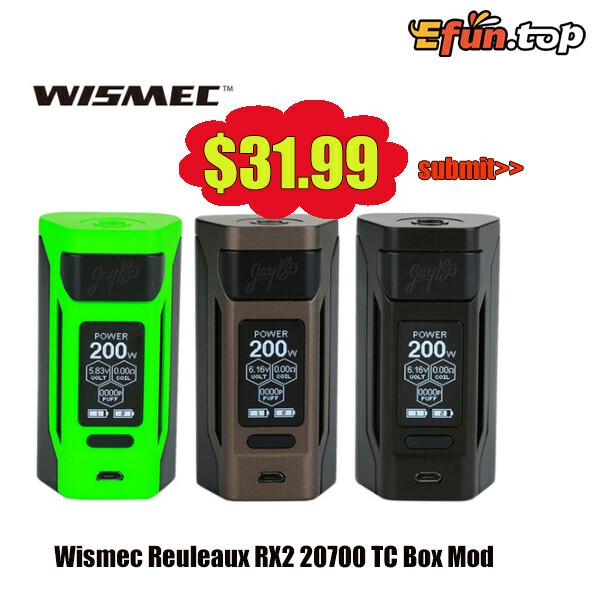 Do you want a Box Mod which compatible with both 20700 and 18650 cells?Wismec Reuleaux RX2 20700 TC Box Mod you cant miss . Support VW/TC-Ni/TC-Ti/TCSS/TCR output mode. Great appearance and performance mod. So nice price take it away!